The suggestion is that reasoning in the spirit of whataboutism is considered one of the most irrefutable methods of debate in modern Russia. On state TV channels and in state media you would be hard-pressed to find a commentator on the West who does not spend a fair amount of airtime or column inches savoring the problems and foreign policy failures of the U.S. and Europe. Whataboutism is also one of the favorite rhetorical devices of President Putin and his speechwriters. From his famous speech in Munich in 2007 to recent statements on Ukraine and Crimea, Putin has increasingly justified his controversial political steps by juxtaposing the behavior of Washington and Brussels. How does one explain this resurgence of a supposedly forgotten Soviet propaganda stunt? After all, it is no secret that the method has long been recognized as a logical absurdity, a primitive argument aimed at simpletons able to be wrong-footed simply by changing the topic. Yet today in Russia each new example of whataboutism is usually greeted by enthusiastic applause. What happened? 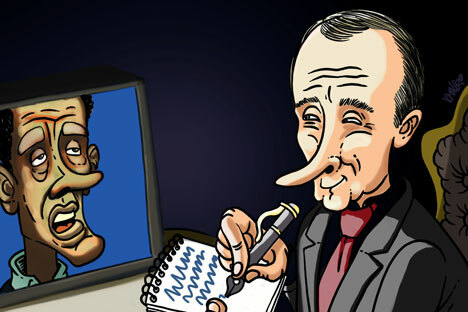 Have the Russian people, together with the political elite and expert community, lost the ability to perceive anything other than cheap propaganda tricks? Or is something really going on in the world that is causing Russians to prioritize external events over domestic disorder? Dr. Ivan Tsvetkov is an associate professor at the School of International Relations of St. Petersburg State University. He is an expert in U.S. policy in the Asia Pacific Region, U.S. history and contemporary U.S. society. When did whataboutism first appear in Russia-U.S. relations? What is whataboutism in modern Russia? Read the full story at Russia Direct.